Marinate cleaned fish pieces with chilli powder, turmeric powder and salt adding little water and keep it aside for 10 minutes. Heat oil in a pan and fry the marinated fish pieces on both sides and keep it aside. In the same oil used for frying fish, add the ground tomato paste and saute for 1-2 minutes on medium flame. 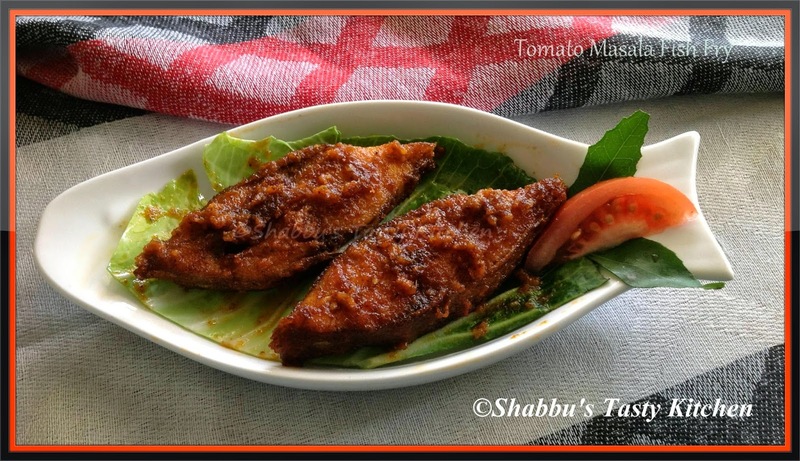 Tomato masala fish fry looks delicious. I've never made it this way, looks awesome! Should try soon! adding tomatoes gives a unique taste,yummy! !